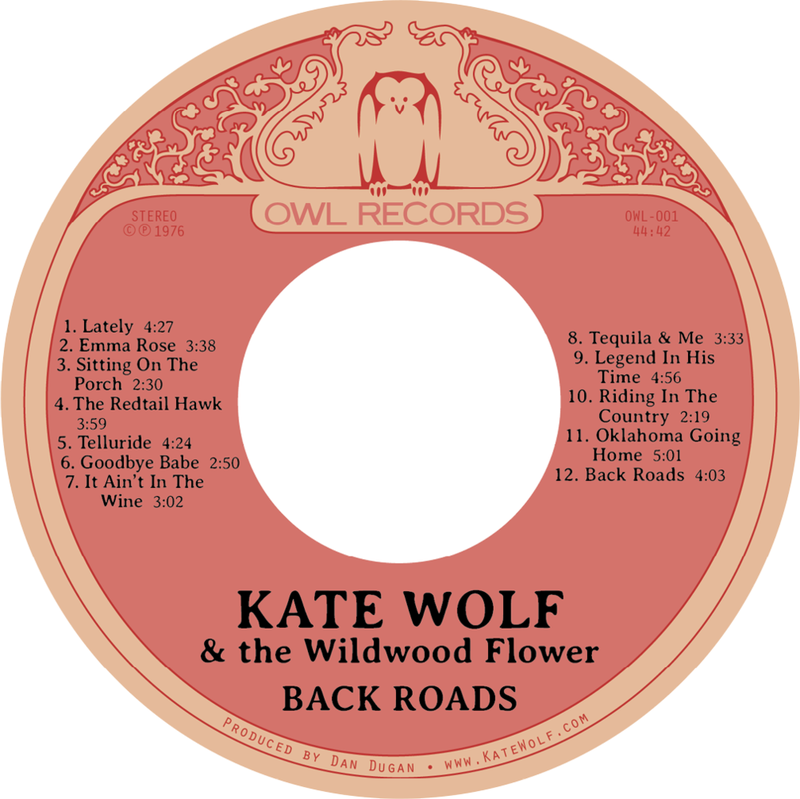 Kate's family released a new collection on June 28th at the 2018 Kate Wolf Music Festival. 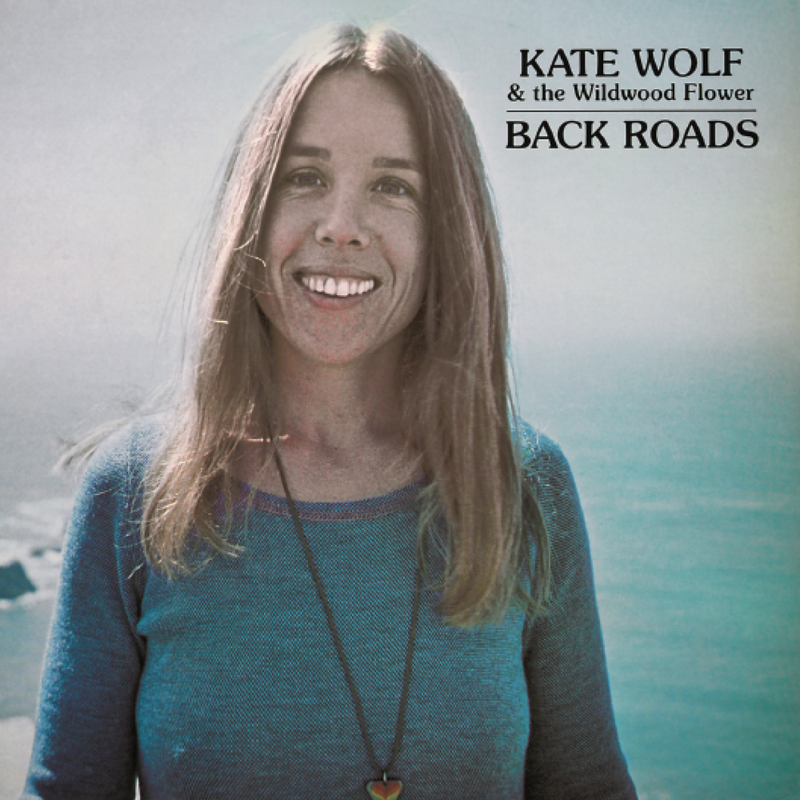 Recorded at Mendocino concerts from 1979 to 1982, the album includes previously unreleased Kate Wolf songs and features Nina Gerber. Kate's family is happy to report that we've completely overhauled the Official Kate Wolf Website. We started katewolf.com 23 years ago, in 1995! Last revamped in 1998, it was time for a new look. Bonnie Kate Wolf, Kate's granddaughter as well as an accomplished illustrator and graphic designed, brought our site into the modern age, and Kate's son Max incorporated modern e-commerce and transferred the content. We hope you enjoy the new site as we say hello to the new year and goodbye to the old site! 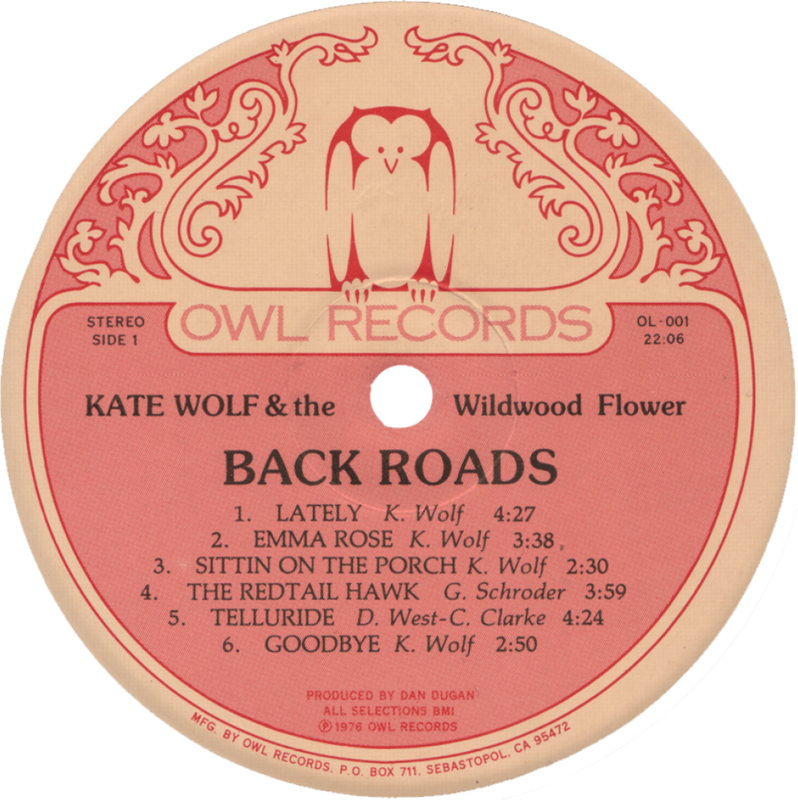 Back Roads, originally released on Kate's Owl Records in 1976. Lines On The Paper, originally released on Kate's Owl Records in 1977. 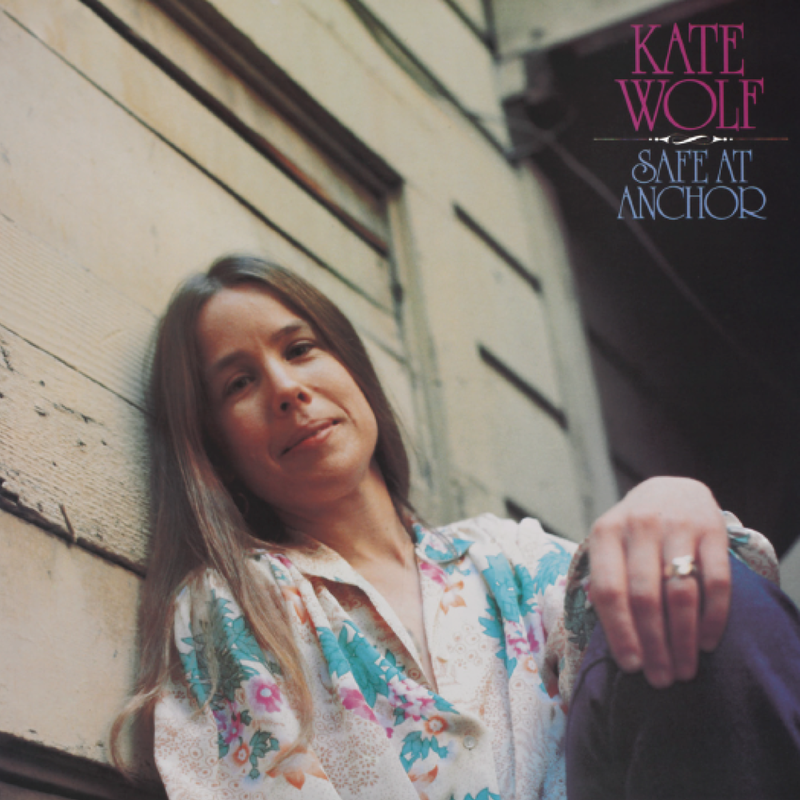 Safe At Anchor, originally release on Kaleidoscope Records in 1979.